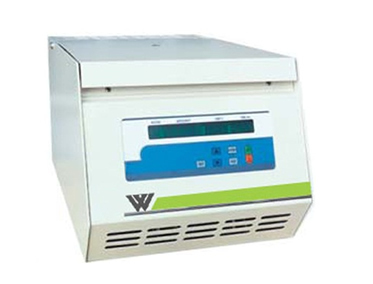 Bench top Filtration Centrifuge is drived by DC motor with brushless and controlled by computer, with low noise and no carbon powder pollution. The centrifugal rotor and centrifugal room are all made of stainless steel and cover is sealed with silicon rubber sealing strips so as to be resist- ant to corrosion. In addition, it can be disinfected with many methods. Special structural design makes continuous separation possible and from an automatic separation filtration system together with other parts, resulting in the filtration efficiency greatly increased. It is supplied with the standard filter bags to facilitate the users.